Rise to the moment with Droid Turbo by Motorola. Get a turbo processor with 2.7 GHz speed. Keep going all day and night with Turbo charging and up to 48-hour battery life*. See every detail with the 5.2-inch Quad HD display and 21-megapixel camera. With Ballistic Nylon, it's as strong as it is quick. Only on Verizon. 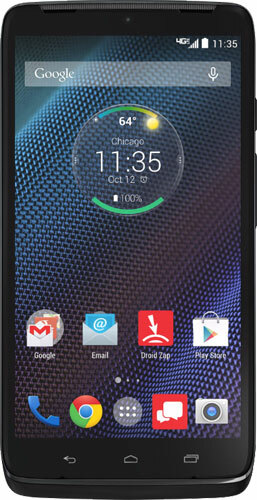 The Droid Turbo comes in 32GB or 64GB. Available in Black Ballistic Nylon.